So close you can feel it! Bringing the sports bar experience to another level, this venue offers an exciting, high-energy space to get in on the action. Immersed in the electric atmosphere of Rogers Arena, fans watch the game surrounded by heart-pounding audio-visuals. Executive Chef Robert Bartley’s menu – sports bar favourites re-imagined using fresh, local ingredients – is perfect for sharing and is complemented by signature cocktails, craft beers, wines, and spirits. The Sportsbar, a live sports and dining experience that puts you right in the game, is looking for the best talent in the industry! 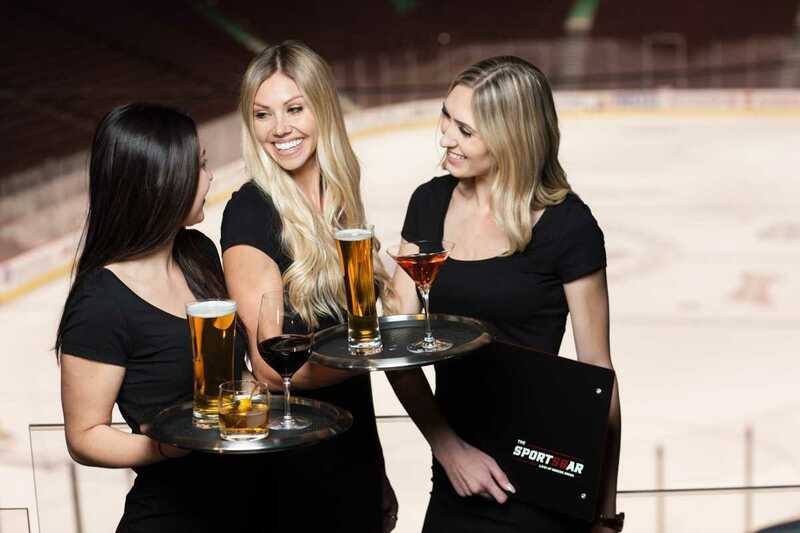 As part of our premium hospitality team, you will be responsible for providing an exceptional premium service experience for our guests in the Sportsbar; taking orders, serving drinks, and ensuring guests are able to enjoy each hockey game and event. This is a part-time, hourly events-based position. We look forward to meeting you - apply online today!